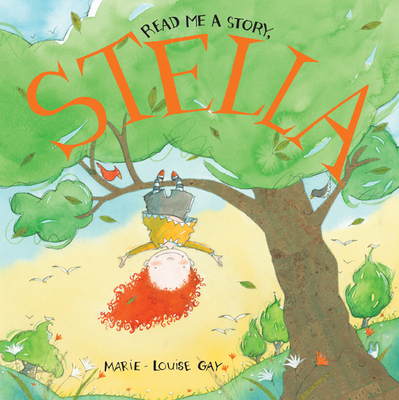 In this lovely addition to Marie-Louise Gay's renowned Stella series, Stella introduces little brother Sam to the pleasures of reading. Sam is as busy and worried as ever, and Stella almost always has her nose in a book these days, but she finds time to help him out, while sharing her new pastime with contagious enthusiasm. With her characteristically light touch, Marie-Louise Gay imparts the pleasures and importance of reading to her young audience, whether it be humor, fiction, nonfiction or poetry. Her detailed, beautifully rendered and often-amusing watercolor illustrations (spot the tiny bunny reading a book ) show yet again that Marie-Louise Gay is one of the very best artists creating picture books today. Marie-Louise Gay is a world-renowned author and illustrator of children s books. She has won many prestigious awards, including the Governor General s Award, the Elizabeth Mrazik-Cleaver Award, the Vicky Metcalf Award and the Marilyn Baillie Picture Book Award. She has also been nominated for the Astrid Lindgren Memorial Award and the Hans Christian Andersen Award. Her books have been translated into more than fifteen languages and are loved by children all over the world. She lives in Montreal, Quebec."